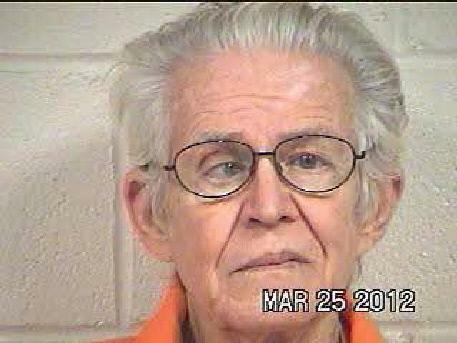 71 year old William Gibson, of Onalaska, had 5 prior convictions of DWI when he crashed a vehicle in 2010 killing a passenger. 71 Year Old Man Pleads Guilty to Intoxication Manslaughter, Gets 12 Years, LIVINGSTON, July 3, 2012 - On June 25, 2012, William Gibson, 71, of Onalaska, pleaded guilty to intoxication manslaughter and intoxication assault in District Judge Elizabeth Coker's court. As part of the plea agreement, Gibson will serve 12 years for the manslaughter charge, and 8 years for the assault charge (the sentences are to be served concurrently). On November 11, 2010, Gibson was north-bound on FM-356 near Onalaska, when he lost control of his 2003 Chevy Tracker in a curve and left the pavement crashing through a chain link fence and then into a stone structure killing one of his two passengers (30 year old Michael Shane Morris of Pearland). The other passenger, Adam Crowton was injured and transported by ambulance to Livingston Memorial Hospital (as was Gibson). Gibson has a lengthy record of driving while intoxicated that includes five prior convictions of DWI (before the 2010 accident). Blood tests show that Gibson's blood alcohol level was nearly three times the legal limit when the accident occurred.